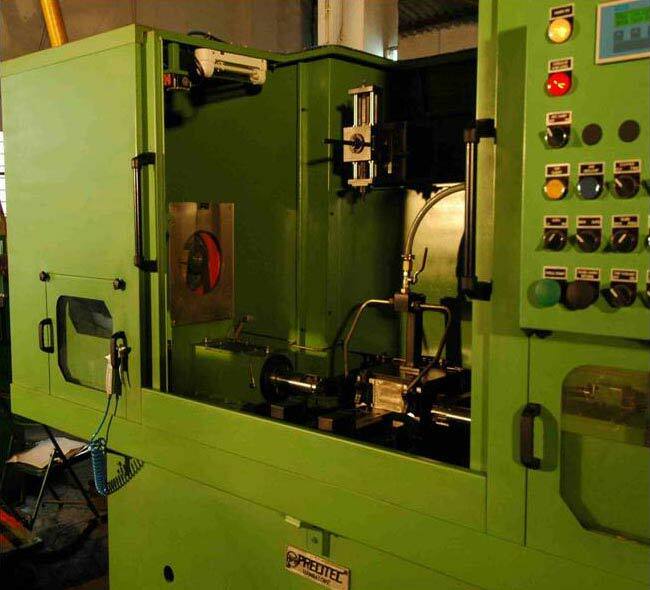 The Facing Centering Machine features Spindle Movement by Hydraulic quill/hardened and ground guides. The Facing Centering Machine comes in different options like The Facing with Traverse milling, CNC Machine with Facing and Centring, Center hole drilling/tapping and Twin spindle facing centring. Method of Facing Centring : Plunge facing and centring. Special Tooling : OD turning/Chamfering. Spindle Movement : Hydraulic quill/ hardened and ground guides.